Millions of Americans, and millions more people around the world, suffer from depression. For some, it is occasional. For others, it is chronic and absolutely debilitating. Depression is such a prevalent and serious issue in our modern world. That’s why researchers have been working diligently to learn all they can about it and ways to alleviate it. One recent discovery in the study of depression points a finger at inflammation. Research regarding this connection has been going on for several years, however, today, more information is coming to light showing that chronic inflammation may be at the root of at least some cases of depression. For their study, researchers analyzed data from 14,275 individuals, gathered between 2007 and 2012. These individuals all filled out questionnaires to assess depression levels and also had their blood drawn. By analyzing the questionnaires and blood samples of this relatively large cohort of people, researchers found that people who reported that they were depressed had 46 percent greater levels of C-reactive protein — a common marker of inflammation — in their blood. Although this study did not establish whether the higher inflammation markers caused the depression, it does open a door for new studies concerning depression and inflammation, so that we can get further evidence of their relationship. This is not the first time that depression and inflammation have been linked. Writing for Psychology Today, Dr. Marlynn Wei, a board certified psychiatrist, explains that previous research has also connected depression with higher amounts of inflammatory markers in the blood. Dr. Wei also mentions that brain scans of depressed individuals exhibit neuroinflammation. The symptoms of an inflammatory state (such as when fighting a seasonal illness) often intersect with symptoms of depression. Chronic inflammation can cause depression, asthma and more. If your body is chronically inflamed, depression isn’t the only possible outcome. 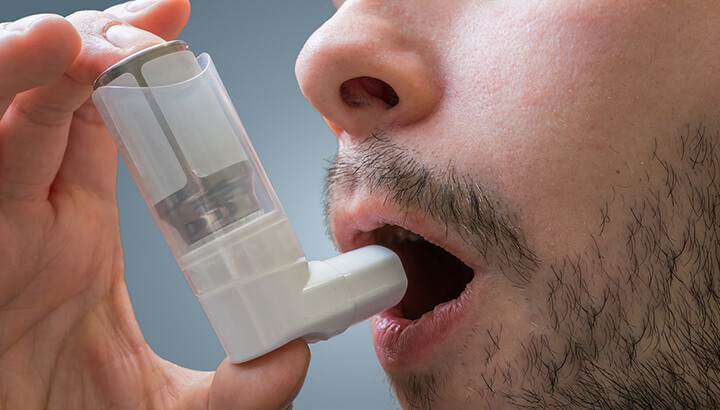 Inflammation left unchecked may also lead to chronic autoimmune conditions such as asthma, psoriasis, fibromyalgia, celiac disease and arthritis. It has also been connected to congestive heart failure, carpal tunnel syndrome and Alzheimer’s disease, to name just a few. Seriously, they’re not doing your body any favors. Many ingredients in those boxes of junk promote inflammation and may encourage a host of chronic conditions. 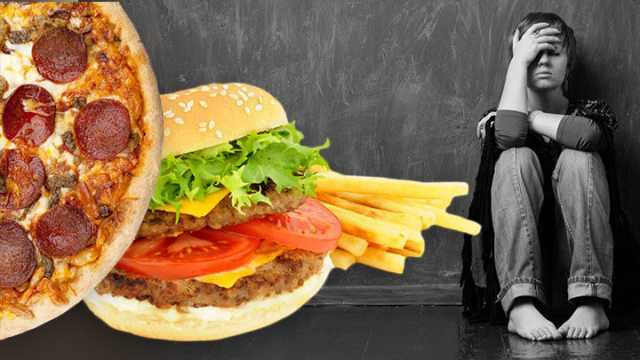 While it may take longer to make lunch at home than to pick it up through a drive-thru, the health consequences of the latter are just not worth it. Base your diet around a rainbow of fruits and vegetables. Make sure you’re getting a lot of greens, throw in some reds and oranges and don’t forget about the purple — eggplant curry, anyone? Add some nutritious proteins such as lean, grass-fed meats, wild-caught fish, beans and rice and quinoa. Snack on nutritious nuts and legumes. When you start searching for recipes based on whole ingredients, you soon find that a whole food diet is exciting, indeed! 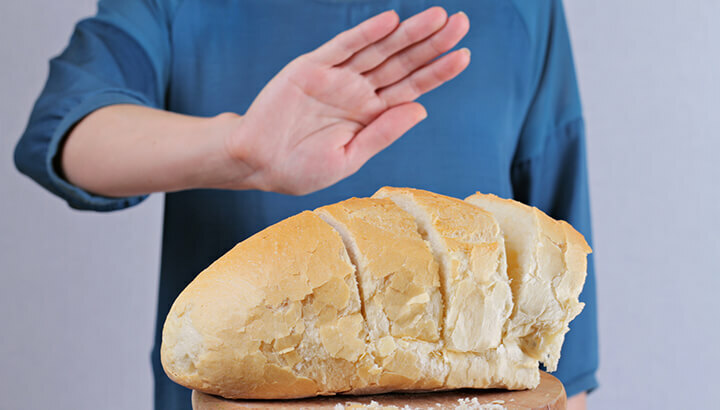 Cutting out gluten can help reduce inflammation and depression. Gluten, a protein found in wheat, barley and rye, may lead to inflammation in sensitive individuals. If you suspect it is a problem for you or a family member, try cutting it out for two weeks and see if there is an improvement. Many herbs and spices have potent anti-inflammatory properties, so add these to your meals in abundance. Fresh is ideal, but high quality dried varieties are good, too. Pay special attention to turmeric, which has been found to have amazing anti-inflammatory abilities. Research has found that exercise can have an anti-inflammatory effect. Movement is crucial to the health of our bodies and minds, so aim to take a walk every day. Three times a week, get some strength training into your routine. You’ll likely feel a vast difference in your body and mind in just a few short weeks (if not sooner). If you’re not sleeping well, your body does not have time to detox and recover from the day. Be sure to get between seven and nine hours each night. If you’re having trouble, check out these tips on getting a good night’s sleep. Meditation is an effective way to lower stress, combat inflammation and soothe depression. 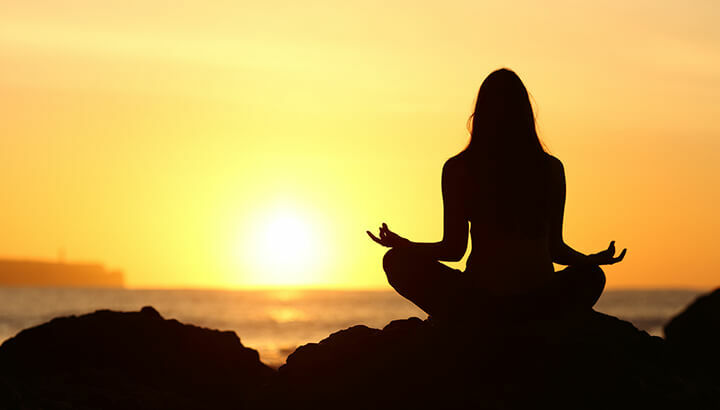 Research has shown that meditation can help to lower inflammation levels. Even five minutes of meditation in the morning and five minutes at night can make a significant difference. To learn the techniques of meditation, there is a wealth of information online. Or, you can search for a guided meditation session in your area. Attending guided sessions helps a lot of people to focus on more fully on meditation. Are you feeling seriously depressed? The above-mentioned lifestyle habits can help you get your inflammation levels in control and greatly boost your health in general. However, if you are experiencing severe depression right now, you need to make the choice to get help. The lifestyle changes will work over time, but if the situation is dire, make the choice now to reach out to someone you trust: a doctor, a therapist, a family member or a close friend. You can also call the Crisis Hotline at 800-273-8255. Do what you need to do to figure out the next steps to get you out of the dark and on with your life. Once you’re in a stable place, the lifestyle changes can begin. Study reveals link between inflammation and depression. Hey Buddy!, I found this information for you: "Chronic Inflammation May Be Causing Your Depression". Here is the website link: https://www.thealternativedaily.com/chronic-inflammation-causing-depression/. Thank you.